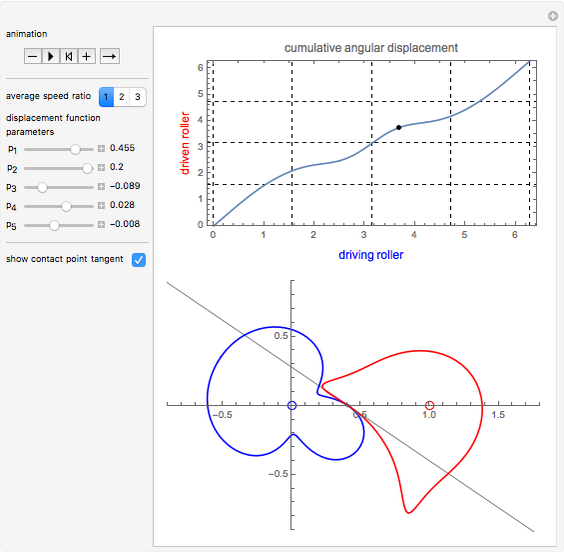 In this Demonstration, a roller drive is simulated by two curves rolling along each other without slipping. 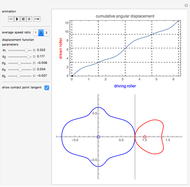 The curve on the left is the driving roller and turns at a constant angular speed. 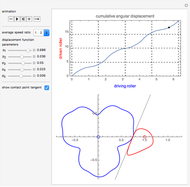 The curve on the right is the driven roller and turns at an angular speed proportional to the ratio between the radii of both rollers at their contact point. 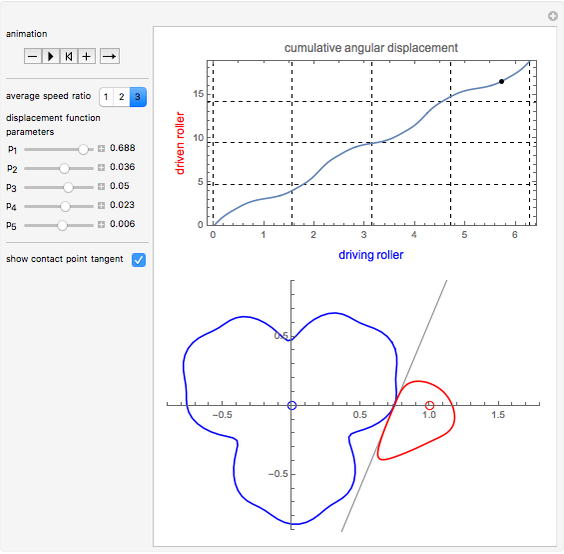 Controlling the parameters to , you can vary the cumulative angular displacement curve of the driven roller. 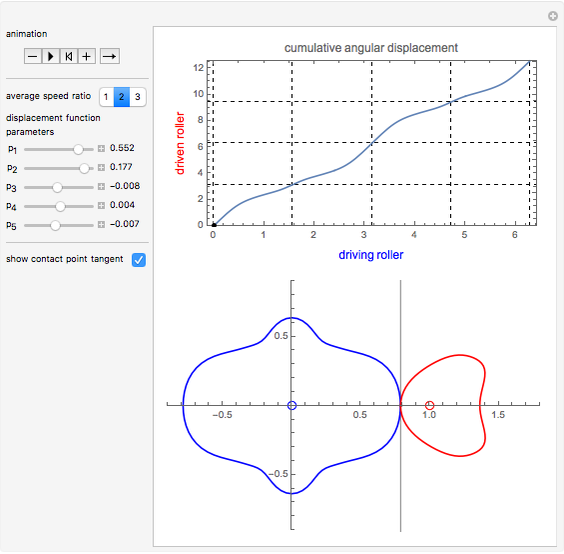 These parameters can also be used to compute the equivalent polar curves of both rollers. For a good article about curves rolling along other curves, see . 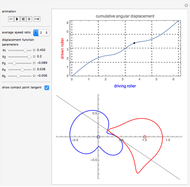 Take the cumulative angular displacement of the driving roller to be and that of the driven roller to be . The radius at the mutual contact point of the driving roller is , and that of the driven roller is . These are effectively the polar equations of both curves. J. Bloom and L. Whitt, "The Geometry of Rolling Curves," The American Mathematical Monthly, 88(6), 1981 pp. 420–426. http://www.jstor.org/discover/10.2307/2321826. Erik Mahieu "Noncircular Roller Drive"